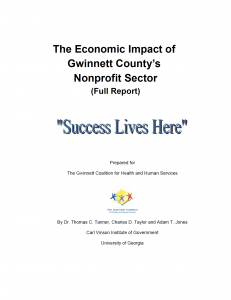 The work of the Gwinnett Coalition for Health & Human Services is possible due to the dedication and support of members, volunteers, donors and interested citizens who recognize the value of the Gwinnett Coalition’s mission to facilitate collaboration to improve the well-being of Gwinnett individuals, families and communities. Be sure to check out our 2014-2018 Strategic Plan and Goals, as well as our many other resources. The Emergency Food and Shelter Program was established on March 24, 1983, with the signing of the “Jobs Stimulus Bill,” Public Law 98-8. That legislation created a National Board, chaired by the Federal Emergency Management Agency (FEMA) that consisted of representatives of the American Red Cross, Catholic Charities USA, The Jewish Federations of North America, National Council of the Churches of Christ in the USA, The Salvation Army and United Way Worldwide. 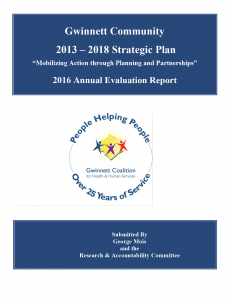 Since 1983, in its 34-year history, the EFSP will have distributed $4.298 billion to over 14,000 human service agencies in more than 2,500 communities across the country through this collaborative effort between the private and public sectors. 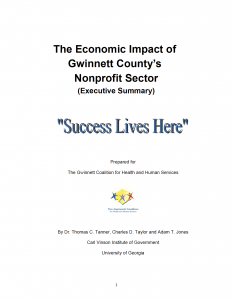 The Gwinnett Coalition for Health & Human Services administers this grant for Gwinnett County. We are currently in Phase 34 of this grant and applications are closed at this time. In 2007, the Gwinnett Coalition became a Drug-Free Communities Grantee, receiving a 10 year grant totaling over $1 million from the office of National Drug Control Policy (ONDCP) and the Substance Abuse and Mental Health Services Administration (SAMHSA). You can visit the DFC Website for more information about this program. Since its award, the Coalition has also been the recipient of four DFC Mentoring Grants, received two supplemental grants to address underage drinking from the STOP Act Grant and is a Recognized leader in the substance abuse prevention field! 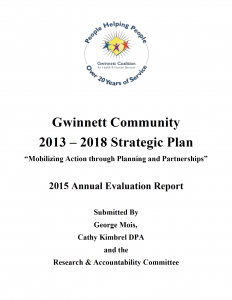 The Gwinnett Coalition continues to address prevention of substance abuse with our lead agency partner GUIDE through Environmental Strategies that refer to substance abuse strategies that focus on community-level change to reduce the occurrences of abuse of alcohol, tobacco and other drugs. These changes address the conditions that put people at risk for substance use or that protect them from risk factors in their communities and families. Risk and protective factors for substance abuse are often the same for a number of issues – substance abuse, school dropout, teen pregnancy, mental health and violence. By addressing these risk and protective factors, prevention efforts have the potential of improving conditions for entire communities. The Gwinnett Coalition’s Comprehensive Youth Health Survey yields data on the risky and protective behaviors of Gwinnett County middle and high school students. 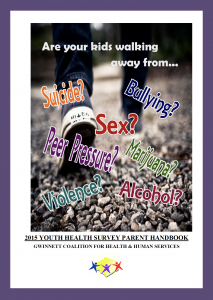 Based on survey results, the Gwinnett Coalition produces a parent handbook detailing emerging trends in youth on topics such as mental and emotional health, substance abuse and physical activity accompanied by strategies to increase positive behaviors and prevent negative ones.